Globetrotting Comedian Harv Puni, better known as Hollywood Harv to his fans, will have a one-night performance at the Vogue Theatre on Sunday, June 3rd at 7:00 p.m. Hollywood Harv has performed over 400 sold out shows throughout the United States, England, India and across Canada, and is now bringing his unique brand of comedy to Vancouver. 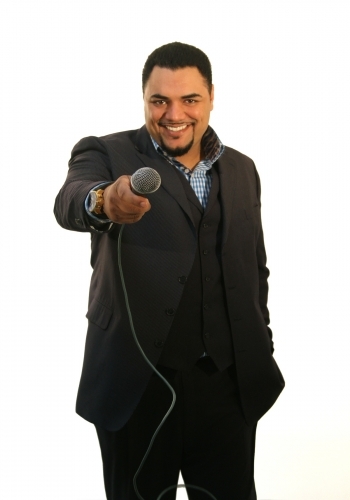 In addition to his stand up comedy shows, he has acted as MC at concerts for Destiny's Child, Beastie Boys, Black Eyed Peas and JT Money. Harv will be filming his comedy special at this performance so his fan base from around the world can have access to his humour any time they want! No stranger to a Vancouver audience, Hollywood Harv was thrilled to be one of the few sold out shows at Vancouver’s 2010 Global Comedyfest, which also highlighted world renowned comedians Carol Burnett, Steve Martin, Pauly Shore and Tom Arnold. Harv has hosted television shows on Vision TV, CHEK and SHAW TV. Born and raised and still living in Richmond, B.C., Harv knew that he wanted to be a performer since the seventh grade. Since then, his hosting gigs included not only television, but radio and numerous high profile events. Although his shows traditionally sell out, Hollywood Harv is still one of Vancouver best kept secrets. He hopes to change all that with this performance. Harv enthralls audiences with his wit, charm, and humor. He can perform in English, Punjabi, and Hindi. The audience will appreciate his talent, sincerity, and professionalism. Harv will keep you laughing for over an hour as he discusses everything from relationships, men, women, and growing up Indo-Canadian. His unique brand of in-your-face comedy has reached out to communities worldwide and is sure to please the Vancouver audience this Sunday.